Are you looking for a clever way to share words with your children or students? Does your child need a more interactive approach to learning? If saying a word isn’t enough, maybe your child needs to see it in action. If you answered yes to any of the above questions, then you will want to read on. Our 165th review goes out to Noodle Words. An educational and very interactive application designed for an iPad device running iOS 3.2 or later. 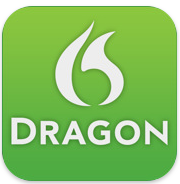 Since its launch to the App Store it has been awarded several mentions: voted the #3 slot as Apple’s New and Noteworthy in the Education store, featured at the end of 2011 as a New York Times Best App for Children and the winner of the 2012 KAPi Award for Best Educational Product. If you thought your children had energy, you should see what adorable bug friends, Squish and Stretch are capable of doing. It is no big surprise when you hear a parent or an educator say, not all children learn alike. Some children just aren’t ready for certain academic skills at a particular age. Attempting to push them towards those skills will only frustrate them more. But what if learning was seen as playful and interactive as exploration occurs on their time, rather than their parent or teacher’s time. Regardless of how your son or daughter learns, providing them exposure, repetition and connections to words is critical so as to build ones comprehension skills. Who knew that a box of words could become a toy for your mobile device. Come interactively play with your screen as you tap, swipe, drag and shake 18 action words or verbs in order to learn their meaning. Even Squish and Stretch get in on the action as they dance, grow, blow bubbles, shake and act surprised. Which action word will be your favorite? Noodle Words is a perfect educational app for children ages 4-7 with its clean and easy to navigate design, children will not want to put the bugs of Noodle Words down. The sounds and visuals that come from your device are well done, but those that come out of your child will just be priceless! Although the application is simple to use, it was a pleasant surprise to see that developers included a “Tip for Parents” option within the menu screen. Noodle Words can be experienced individually or with a parent or teacher. Our target audience, children ages 4-7, love to show off new things, so be sure to take time to explore with your child, you will not regret it. The developers of KwiqApps have taken all learning styles into consideration and that is why Noodle Words is also an adaptive application for children with special needs. If your child or student doesn’t have the control or ability to use their fingers or hands, then be sure to check out one of the hidden gems of the device, blowing into your microphone for word exposure and understanding. Noodle Words gets Applicable2U’s seal of approval. It is equipped with many academic and social skills that it certainly keeps us coming back. As mentioned on their website, this is the first set of words and we hope to see many more in future updates as either a free download or an in-app purchase. Adding more action words or other parts of speech, nouns or adjectives, would be an excellent addition. To learn more about KwiqApps, please visit their website by clicking here. 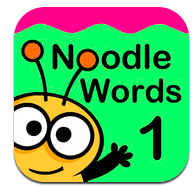 To get your action on with Stretch and Squish, then begin downloading Noodle Words from your iTunes library here for $1.99 today! It’s story time on this fabulous Friday. From the creators of iVocAudio, they recently launched last week, Tapikeo for your Apple device running iOS4.1 or later. 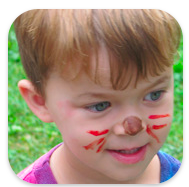 This multi-purpose application allows your child’s voice and pictures to come to life in a number of ways. It’s scrapbooking, creative writing and an adaptive communication application that can be used by parents, teachers or children. When using Tapikeo, users will notice that stories are organized or managed into grids. Before getting started, a new user might find it helpful to view the 4 preloaded examples to see how all the pieces/grids come together. Socially and academically, this application has a great deal of potential. When ready to begin communicating or telling a story, simply click the plus button in the upper right hand corner. It is here that new grids are created and named. Through our exploration, we noticed that when building a new grid that there was an e-book feature which you can turn on or off. Unsure as to the possibilities that this feature may have for my own experience or my students, Applicable2U began searching the settings tab and their FAQ section. Unfortunately, this was not explained, but would love this to be added in a future update. Regardless, Applicable2U was determined to find the answer. Through trial and error, my answer was found. When the e-book feature is set to off, grids may have multiple images and recordings, however, they will not play like a book. Each individual page must be selected in the play mode in order to see and hear. If the e-book mode is set to on, when grids are played, users will now notice a green forward and backward button, allowing users to read this compilation of pictures and sounds like a real world book. Having this option will make the creations vary depending on ones needs – flashcards, soundboards, digital photo album, verbal prompts and so much more! Once a grid has been made the fun can now begin. At the bottom of your Tapikeo screen, users will notice four buttons: Play, Edit, Grids and Settings. Select which grid you would like to build within and click the edit button. Here storytellers can add text, picture(s) from your Apple device photo gallery or use the devices camera to take a picture. In addition, sounds and voices can be recorded, played back for clarity and deleted if necessary. After editing is complete, grids can then be played. Upon entering a grids play mode, users will see a 4X4 array representing the pages within. A flashing image will indicate where in the story you left off or may want to begin. Regardless of what is flashing, other images may be selected and viewed. The initial cost of this application is free! However, additional features can be added for an in-app purchase of only .99¢. Additional features may include the ability to download additional template grids with an internet connection. Tapikeo also offers the option to email friends and family members grids that you have created. If Tapikeo is loaded on their device stories, flashcards, and things like albums can then be shared. To gain these options right away, you can download Tapikeo HD for 2.99 and receive the Premium options for free. To access the HD version and its premium capabilities, please click here. Recently, Applicable2u also reviewed iVocAudio which is also designed by Jean-Eudes Lepelletier. While writing this review, we wondered what the possibilities may be for the two applications to interconnect. Within a classroom setting, we can envision a story being created by the teacher. As this story has now been differentiated through visuals and recordings, the student can then go into iVocAudio and complete pre-made flashcards that correlate to the story in Tapikeo and test their knowledge and understanding. This is just one of the amazing options that these two applications can have within a classroom in school or at home. If you would like to learn more about Jean-Eudes Lepelletier and the educational apps that he and team of developers have created, please visit their website here. You will be amazed at the creativity and independence that Tapikeo will provide your child at any age. To begin downloading Tapikeo to your iTunes library, simply click here. I am excited to share with those following my educational/parent applications review blog an assistive technology app that can assist children, parents, and teachers. According to the developers and Lunchbox Reviews “this app will help you catalog, share, remember, and can teach skills to those with autism or developmental delays. It also allows you to document trips, adventures, class trips or create your own stories. Use your imagination! It will allow you to bring your photos to life with text and audio. You can create talking photo albums, or use as a teaching tool to help promote wanted behaviors.” My review is based on my experiences with a 4th grade group looking to build an interactive class newsletter. As a class, we discussed the options that they wanted in this newsletter, a number students were interested in making auditory visuals of their lives within their classroom and school. Those individuals using My Pictures Talk were of varying learning needs and styles. This project was designed to let them be creative rather than having a direct focus from me. I provided them very little assistance and they were on their way. Collaboratively they worked together to take photographs, design a script and to then record their stories. I was amazed at the end result. This form of documentation allows outsiders to see what is going on in the classroom. Our next steps is to then embed these quicktime videos into an interactive file for parents and other educators to see. This application gives a voice to all students. The possibilities are endless! In addition, I plan to present this application to a team of special educators to see how it might be an effective tool for our special needs population. Please be sure to visit Grembe Inc. website to learn more about My Pictures Talk along with other assistive tools that they have to offer your child or student. Or you can visit your iTunes library to begin downloading today!